My Tech 2 clone finally got here. Took a few weeks to get it but it looks great so far. Now I just have to figure out how to use it properly lol. 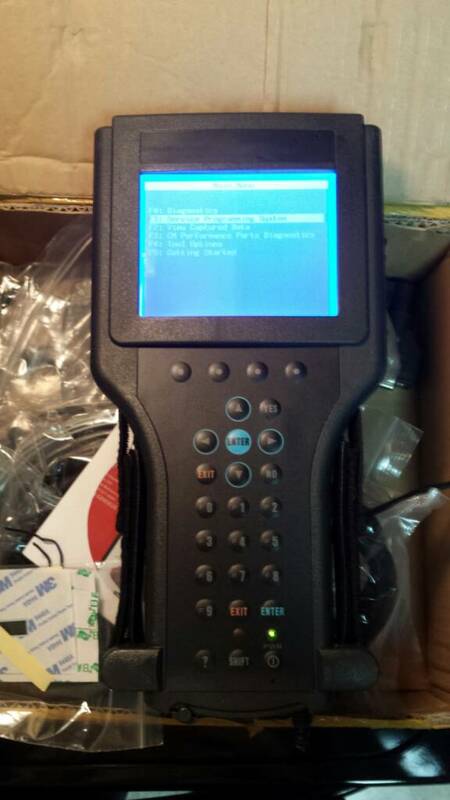 I was looking into scanners and most can't read anything but engine codes. Did some research on some other forums and a bunch of people have had really good luck with these clones. Got a chance to try it out today on my wife's Cadillac and my Hummer h3. She has been having an issue with her abs light coming on then going off. I suspected a wheel sensor but my blue tooth scanner wouldn't pick it up. Hooked up the tech 2 and scanned the brake module for codes and I got c0050 for the right rear abs sensor. Also I did a check of all 28 modules in the car and pulled some misfire codes even no CEL was on. The cool thing is that it records the event so you can see exactly what was happening at the time the code occurred. For instance the c0050 shows me steering angle, speed, and a whole bunch of other things. The misfire codes shows me engine speed (rpm), ect, iat, spark, o2, maf, etc. My h3 has had a CEL on - po452. I wanted to check it with the tech 2. Well it pulls 3 codes, po455 (large evap leak), po442 (small evap leak), and po449 (vent solenoid control). Overall, I am very impressed with the quality and capabilities. I don't see any reason why I won't be able to program modules, etc. I will need to get the Tis2000 software loaded up for that.